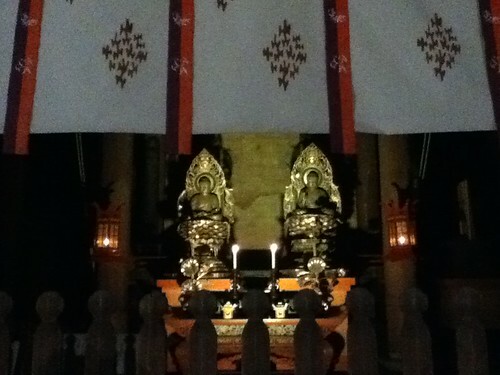 I went to Sennyu-ji Temple, 5 min. 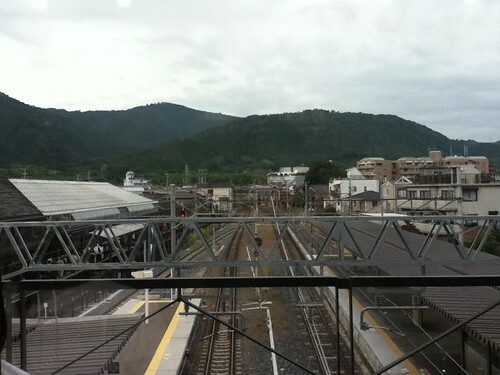 walk from Tofuku-ji Station of Keihan line, to see full moon last Saturday. Moon was hidden by clouds so vague, looked mysterious. 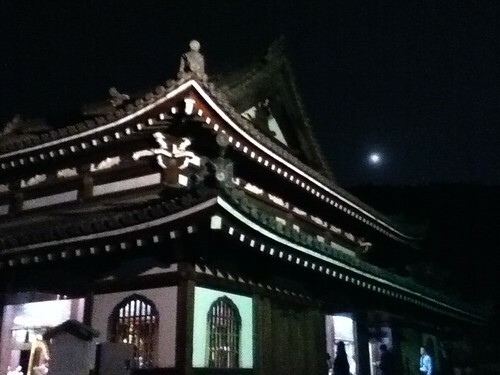 Mountain, temple and moon in the dark harmonize well with each other. 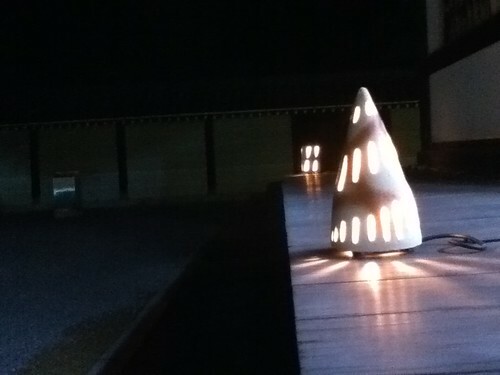 Actually I don’t like a night illumination of temples very much, but for this time it was not too light, never showy, so I was satisfied. However be careful in the full moon day! Full moon has a mysterious power ! I lost my house key and one very important accessory in the temple. 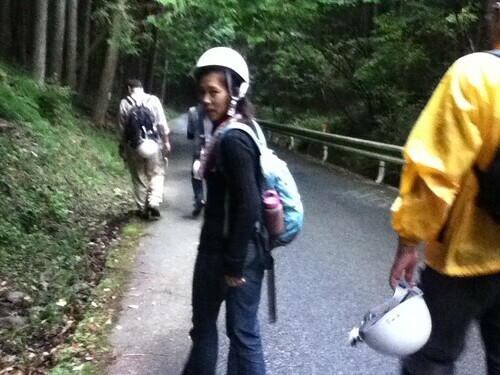 Next day I joined the event of rubbish collection on Mt. Ogura again. I harvested (!) 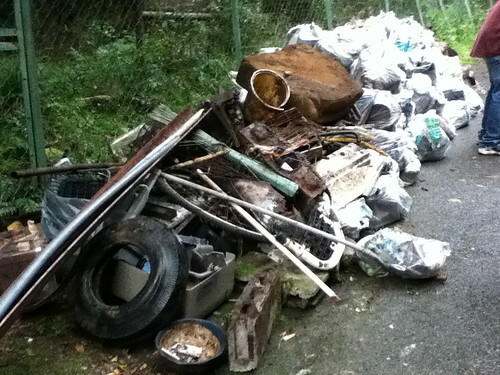 an abundance of rubbish such as old bicycle, tire, basin, plastic items, shoes etc. The rubbish is found very easily because their shapes, colors and atmosphere are very unnatural and so remarkable in mountain surface. This collection was the last event in this year. We could remove them and clean, were very satisfied!! I was lucky! 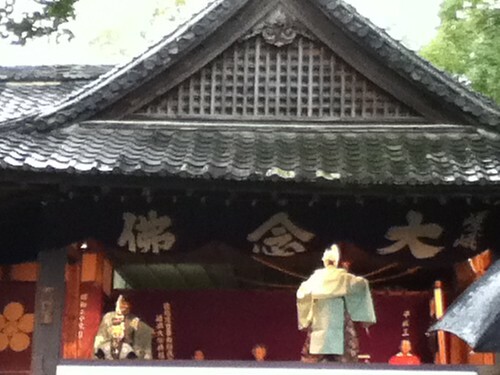 I saw the performance, Saga-Nenbutsu-Kyogen in Seiryo-ji Temple on the way back to station. The performers with traditional masks perform silently, only Japanese flute and drum are sounded. It was a lucky and cultural refreshment for me.